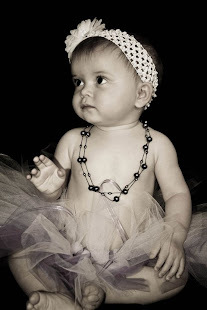 MiShel Designs: Waxed Jewelry Cord Love! 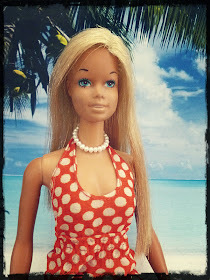 Hey all - I just wanted to give a quick shout out. 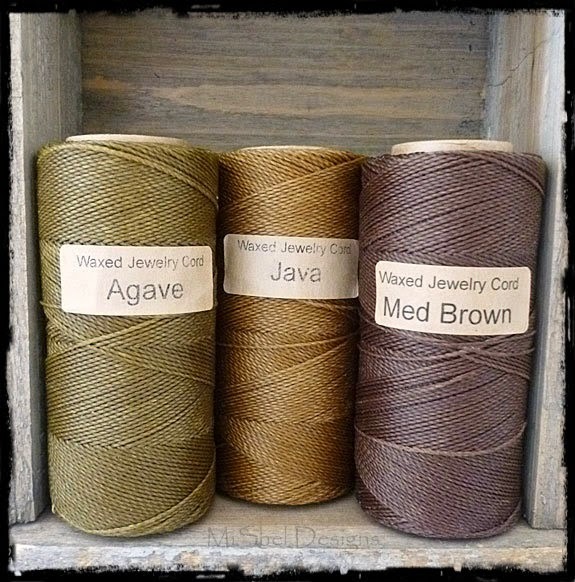 I recently got some new colors of the Waxed Jewelry Cord from Sandra, over at The Knotty Do It All. You can twist it so that it separates and use smaller holed beads with it. It's synthetic (not silk, linen or cotton) so you can melt the ends with your thread zapper (or the flame from a lighter if you're that brave and coordinated!) - No Need For Glue!! The colors are pretty steadfast,....no running, fading, etc. that I've encountered. 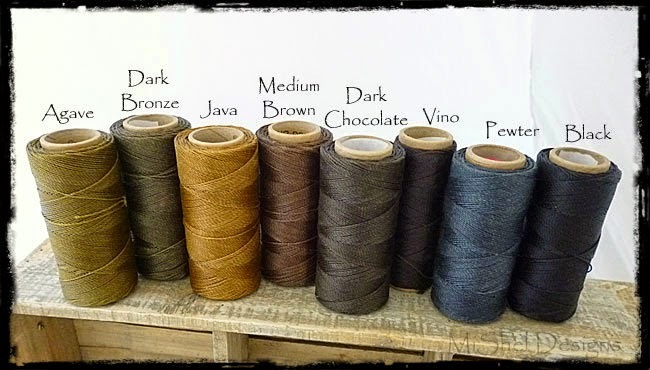 It doesn't stretch with wear the way waxed linen, silk or waxed cotton seems to stretch. The color choices are awesome! 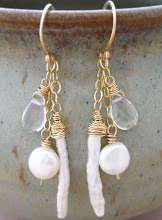 Check out the link here to Sandra's shop to see for yourself! It works up wonderfully whether you're knotting it, doing macrame or simply stringing with it - it has this 'drape' to it that is just super! It's not too 'waxy', but enough that it does exactly what you want a waxed cord to do. Did I mention the colors,....and that it's really sturdy? Quality cord. Simple as that! Here's the colors I have on hand at the moment. Vino is my favorite. I use it all the time, but I think that Med. Brown and Java may have a new place in my heart this fall season!! And that Agave - swoon!! I keep joking with Sandra that I'm eventually going to add some additional 'color' to my life and order some reds or something else!! Seriously,...how much more 'neutral-black, gray, brown-ish' could I get? LOL! 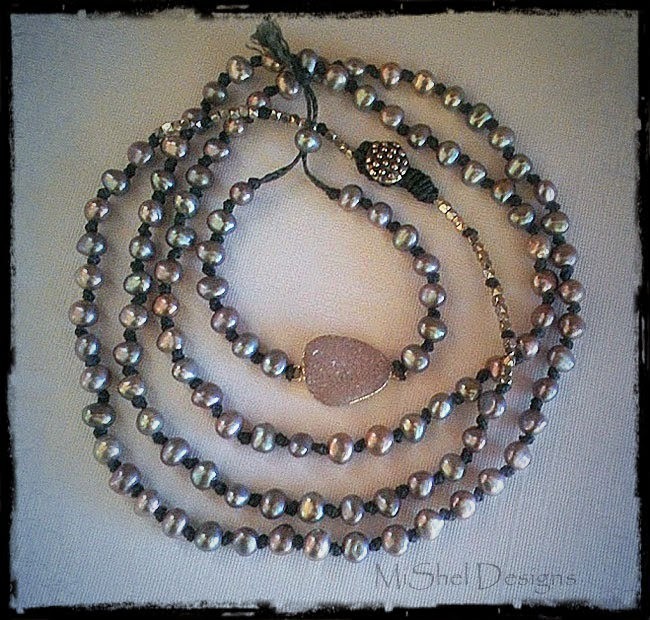 I created this knotted, large hole pearl necklace and bracelet set using the Waxed Jewelry Cord I purchased from Sandra's Knotty-Do-It-All shop. It's a fun, versatile and excellent quality cord. 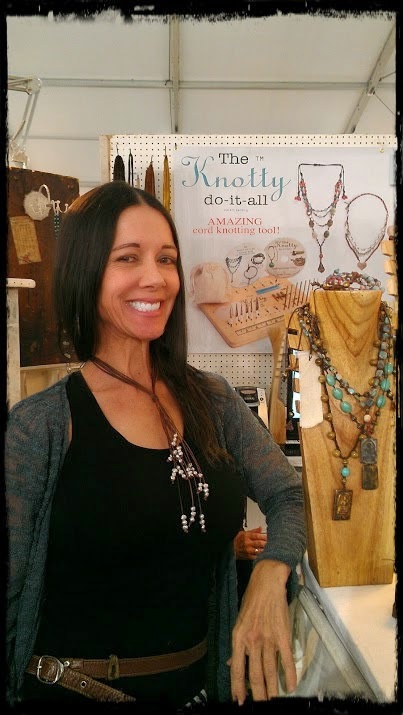 If you have any questions about this cord, shoot me an email, leave a comment here on the blog or hop on over to The Knotty-Do-It-All website and ask Sandra herself! She's super nice and is just a wealth of information! Peace, Love and Waxed Jewelry Cord Fun! I have a couple colors of her cord and I do have to say that it is some of my favorite. What I really like is the fact that it doesn't leave a waxy residue on my fingers when I am knotting it.